Helen aka Harishakti is a lover of life and all things Yogic from the physical practices to the psychology and philosophy. 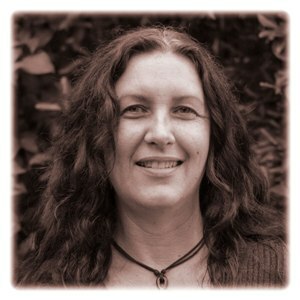 Having been drawn to a regular practice in 1998 Harishakti went on to study a teacher training course with FINY in 2001 and began her teaching journey at this time in Mundaring. Her studies have been ongoing both here in Perth and in NSW where she recently completed a diploma in Yoga studies. Harishakti has a keen interest in chanting Sanskrit Mantras and singing Kirtan of which she currently hosts in Freo at the Sivananda Ashram once a month. She has now joined the Team at The Sound Temple and is grateful to be sharing her love of Kirtan with you all at the Sound Temple.